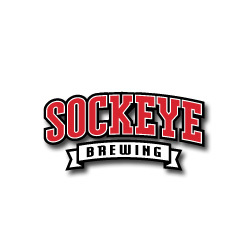 Founded in 1996 on Federal Way, the brewery originally crafted beers for local restaurants. As our passion developed we moved to up onto the Boise bench in 2002. Our humble beginnings started with just a four barrel brewing system. In 2009 we upgraded to seven barrels. Then the microbrew scene exploded, and in 2011 we’re proud to report we produced 1,500 barrels of small batch, hand crafted excellence. We owe our success to faithful Idahoans and wonderful boise patrons. To match demand, we’re moving to a new location, breaking ground on west Fairview and Cloverdale. Our new location will be 12,000 square feet, with a twenty barrel brewing system in place. This will allow for 3,000 barrel production per year.